Combining vital personal protection from hazardous parts with a defence against intrusive dust, dirt and grime, these heavy-duty Metal Protective Cabinets guard fire alarm control panels and other large electronic devices. 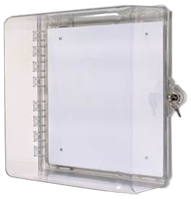 The NEMA Type 1 super tough metal enclosures are specifically made for electronic equipment (up to 1000V) with sensitive components and modules that are vulnerable to ingress or vandalism, whether accidental or malicious. Constructed for indoor use the UL listed enclosures mount to the wall enabling units to be protected in their designated location, the sizeable units can house significantly sized electronic devices with space to spare – a durable finish prevents corrosion. More than ten different models are available in a variety of dimensions, there is a metal cabinet suitable for nearly any application. 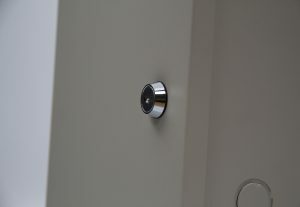 Accessories for the range include key lock or thumb lock which can be added to prevent unauthorised entry, and a 14 gauge backplate that allows devices to be easily mounted inside the cabinet. For further information on the range of Metal Protective Cabinets, visit www.sti-emea.com. Alternatively, call our friendly Sales Team on 01527 520 999 or email sales@sti-emea.com for more information or details on where to buy locally.